The burger will be sold exclusively at the Carl's Jr. on 4050 Colorado Blvd and, keeping with the theme, will retail for $4.20, according to a press release from the fast food company. The secret to the burger's potentially calming qualities will be in its "Santa Fe Sauce," which is infused with 5 milligrams of CBD, according to The Denver Post reported. The oil used in the sauce will be derived from hemp, not THC, which is the principal psychoactive ingredient in marijuana that gets users high. 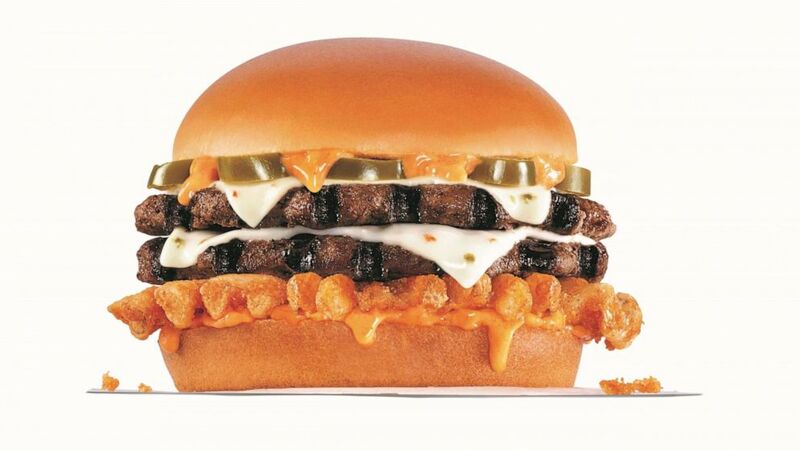 “The new Rocky Mountain High: CheeseBurger Delight ties back to our core strategy of being the first to bring bold and unexpected flavors that are at the forefront of hot restaurant trends to a quick service menu,” said Patty Trevino, Senior Vice President, Brand Marketing at Carl’s Jr. in a statement. John Hickenlooper passed a law saying that hemp should be treated the same as any food ingredient, and in December, President Donald trump signed a federal farm bill that reclassified hemp as an agricultural product rather than a controlled substance, The Denver Post reported.